The Huntsman: Winter’s War acts as both the prequel and sequel to Snow White and the Huntsman. 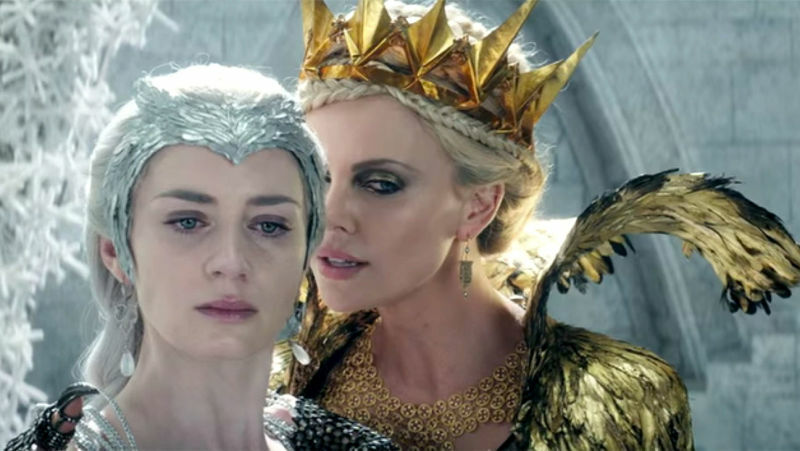 The beginning of the movie tells the story of Ravenna’s (Charlize Theron) younger sister, Freya (Emily Blunt). While Ravenna is amassing her kingdom, Freya has fallen in love with a duke however he is already engaged to someone else. She ends up bearing his child, and on the night they are meant to run away with each other, tragedy strikes and her lover ends up killing their child, unleashing her latent ice freezing abilities. Ravenna sends her off to start her own kingdom, where she rears an army of children to become huntsmen and makes the indisputable rule ‘do not love’. Freya’s two best huntsmen, Eric (Chris Hemsworth) and Sara (Jessica Chastain), fall in love, incurring the wrath of their Ice Queen who splits them apart. Fast forward past the Snow White saga, we have Eric being enlisted to retrieve Ravenna’s missing mirror before Freya is able to get her hands on it. Along the way, Eric manages to picks up a quartet of dwarfs for comedy’s sake and a mystery companion. Although the title of the movie suggests the main subject would be the Chris Hemsworth Huntsman character, I found that the three leading ladies take the main stage instead. Theron, Blunt, and Chastain play powerful, complex characters that have purpose and motivation without being sexualised which is rare for large box-office movies. Theron, as with the first movie, steals the show with her power hungry need to become the fairest of them all. Blunt does a brilliant job playing a conflicted and vulnerable antagonist while at the same time relishing in her powers. Chastain’s warrior character rivals Hemsworth, saving him on a few occasions. I admit that the narrative of the movie may have needed work however the visual effects, costumes, and staging need to be commended. When I walked out of the cinemas, the one thing that stayed in my mind was the costumes and makeup and how they really transformed the characters. Colleen Atwood, acclaimed costume designer, created jaw-dropping, microscopically detailed dresses that personified Theron and Blunt’s characters regality. The makeup was also masterfully done. After getting home from the cinemas, the first thing I did was find out who the makeup artist (Luca Vannella) was and then jumped onto YouTube to find any and every makeup tutorial based off the movie. Bottom line, if you wish to watch a visually engaging movie with strong female leads, the Huntsman: Winter War should not disappoint. Bec's interest in beauty started with watching how to do your make up YouTube tutorials and has grown into a love affair with all things beauty related. Other interests include food, puppies and chocolate. 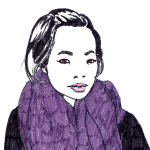 You should get involved in a contest for one of the best blogs on the web.